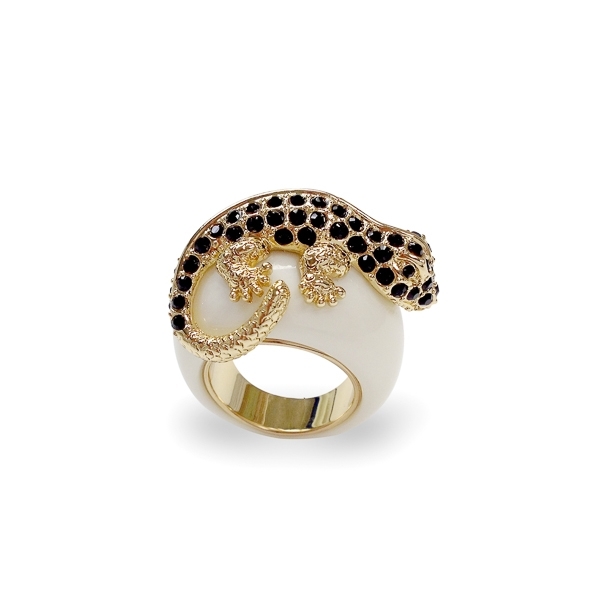 Description: Smooth molded resin stone body holds a crawling jet black crystal lizard plated with 14k gold. Gorgeous mix of wild and chic she will surely start a conversation. Material and Measurements: 14K Gold Plated Base Metal, Resin Stone, Crystals - Focal Point 1" X 3/4"
Enter Quantity for R-AE040-BLK to add to your shopping cart.